Although similar, there exists a difference between substance abuse and addiction. It is possible to abuse a drug or alcohol without being addicted to it. The symptoms of substance abuse are similar if not common to addiction. However, there are some signs or symptoms that reveal whether a person is addicted to alcohol or drugs. For instance, if one experiences various withdrawal symptoms when he or she has not used the substance, then he or she is addicted. Some of the withdrawal symptoms include vomiting, dizziness, nausea, and changes in mood. Other signs of addiction include ignoring hobbies, spending a lot of time to get the drugs, and loss of self-control. The addiction is a more serious problem as compared to drug abuse since the user cannot physically stop it. This is because the brain function has been altered. Alcohol and drug addiction are serious problems across the world. Moreover, these problems do not discriminate between skin color, ages, cultural background, or religion. In Australia, just like any other country in the world, both legal and illegal drugs pose a serious challenge for law enforcement officers, health workers, families, workplaces, and universities. Substance abuse contributes to serious financial, physical, psychological, and social problems, which affect a lot of people. It is estimated that over 14% of Australians use alcohol and drugs. The common drugs abused include cannabis, ecstasy, painkillers, and cocaine. Australia is a great nation and an excellent holiday resort for many people across the world. In fact, it is quite easy to find illicit drugs on the streets, at common clubs, and some beaches. Just like other people in other countries, most Australians try drugs and alcohol out of curiosity. The truth is that most of these people know the harmful effects of alcohol and drugs. Most Aussies try alcohol and drugs when they are at between the ages of 15 and 25. Painkillers too have been found to be quite popular with most Aussies but for non-medical purposes. There is a lot of stigma surrounding alcohol and drug addiction in Australia. In fact, most people believe that drug addicts are weak-willed, lazy, and selfish. They do not understand the science behind addiction and believe that an addict can stop using alcohol or drugs. However, addiction never works this way. Any person can be addicted, and it has nothing to do with his or her work ethic or will. As a result of stigma surrounding alcohol and drug addiction, most addicts are in denial. A person can convince himself or herself that he or she drinks socially and as a way of relaxing on the weekends. Although alcohol and drug addiction is still a serious issue among the young people and adults, some preventative methods are successful at keeping youths from using substances. 37% of drug users in Australia are teens. Education is one of the preventative methods. The truth is that most youths are aware of how alcohol and drugs are dangerous. They also know drugs are addictive. Having the right knowledge can help people to make right decisions. Mentorship is another way of preventing drug addiction. It is helpful in covering negative emotions and helping teens move in the right direction. 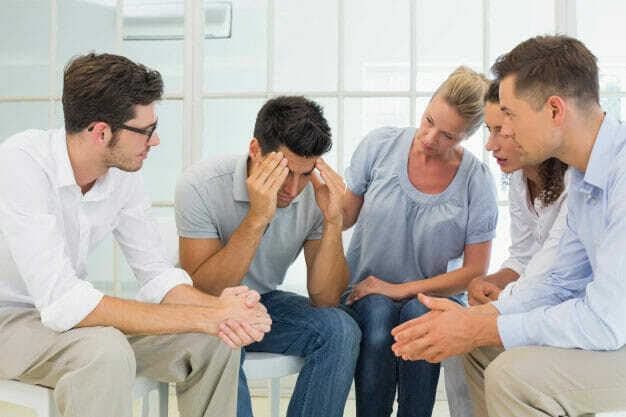 If you or your loved one has a problem with alcohol or drugs, or both, then a rehab center can be of great help. Rehab centers provide a wide range of treatments, therapy, counseling, and aftercare services. Thus, you do not have to do this alone. Rehab facilities help addicts improve their lives and achieve long-lasting recovery. They provide both support and treatment. There are government, private, and NGOs rehab facilities across the country. Treatment programs take place in residential rehabilitation services. There are also outpatient services. Alcohol and drug addiction is a chronic disease that cannot be tackled without seeking professional medical help. Most people who try to become sober and clean on their own do relapse. A reputable residential rehab center is the best solution for the addicts. This is because they combine counseling, detox, and therapy to overcome emotional problems and triggers that led to alcohol or abuse addiction. Moreover, they offer the medical care and tools required to overcome the social and physical reasons for addiction.